Septic System Services | Madson Tiling & Excavating, Inc.
Madson Tiling & Excavating, Inc.
Madson Tiling & Excavating provides septic system services to a wide variety of residential and commercial customers in Manitowoc and surrounding counties. Our prompt, friendly experts service septic systems of all sizes and wastewater strengths and can manage your septic needs, be they basic or complex. 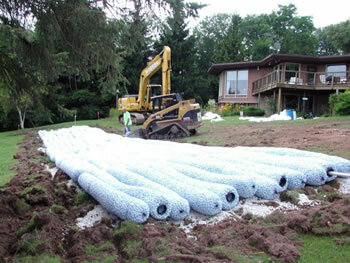 We are your fully licensed (MPRS 224232) and insured onsite wastewater professionals. Madson Tiling & Excavating has been a proud member of the Wisconsin Onsite Water Recycling Association for over 20 years.